Dundee is a city on the east coast of Scotland where the River Tay flows into the North Sea. It is the fourth largest city in Scotland. It was famous as the city of "Jute, jam, and journalism", because jute and jam were made there, and several newspapers were printed in the city. Dundee has a population of 148,260 people. It is the fourth largest city in Scotland. There are two universities in Dundee. They are called the University of Dundee and the University of Abertay Dundee. It also is home to two professional football teams. Dundee F.C. and Dundee United F.C., who both play in the Scottish Premier League. Unusually, their stadiums (Dens Park and Tannadice) are very close together, in the same street. Dundee Airport serves the area. 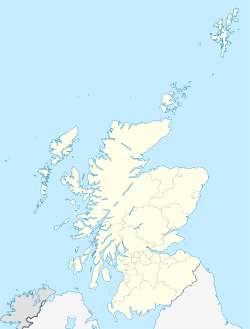 ↑ "Gaelic Place-Names of Scotland". 2011. Retrieved 7 July 2016. ↑ "Borthwick for Lord Provost as SNP and veteran councillor strike administration deal - The Courier". thecourier.co.uk. ↑ "VIDEO: New council leader reveals the Dundee team he supports in Tele Q&A" – via www.eveningtelegraph.co.uk. ↑ 4.0 4.1 "Population Matters" (PDF). Dundee City Council. Archived from the original (PDF) on 7 November 2010. Retrieved 7 July 2016. 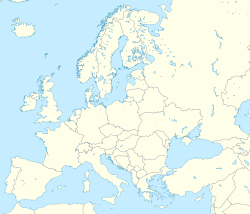 ↑ "Scottish Census 2011". Scotland's Census. 28 April 2016. Retrieved 19 October 2016. ↑ "Mid-Year Population Estimates - Scotland 2016" (PDF). National Records of Scotland. 28 April 2017. Retrieved 30 April 2017. This page was last changed on 13 August 2018, at 19:49.